Home › AIDC › [Editorial] A new federation? 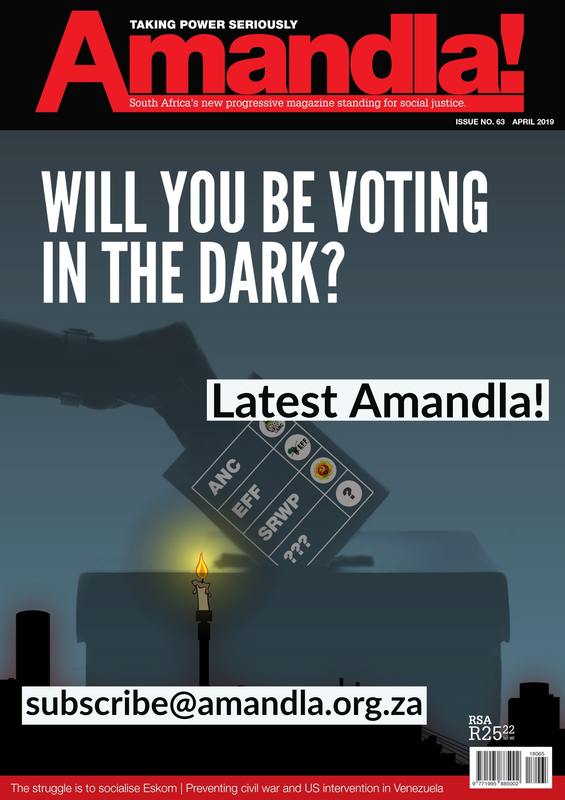 In the latest issue of Amandla!, we focus on the labour movement. 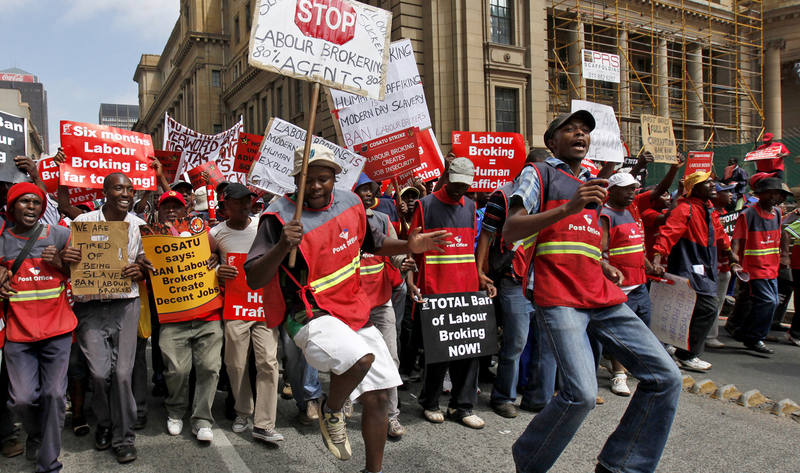 We are soon to witness what some have called a “momentous event in the history of the working class in South Africa” – the launch of a new, independent federation of trade unions. But will it be a “momentous event?” Will the new federation be able to rise to the enormous challenges the labour movement faces? Zwelinzima Vavi, in the interview on Page 14, accepts that the labour movement is currently in a very weakened state. It is never an advance for the working class when its mass organisations split, even if it is sometimes necessary. We have seen how capital and the state are determined to capitalise on this weakness. They have become emboldened in their attacks on workers. Faced with a weakened and often compliant Cosatu (not to speak of Nactu and Fedusa), they believe they can get away with taking away significant workers’ rights. They can tamper with the right to strike and there will be no significant response. And so far they seem to be right. Not a whimper from Cosatu, who signed up to them. And only a whimper from Numsa, who issue plenty of press statements but haven’t been “on the streets” for more than a year. But there are other areas of concern, other baggage that the former Cosatu unions, Numsa and Fawu, bring with them from the tradition of their former home. Cosatu for a while called it social distance, although they have stopped talking about it at all in the last while. But “social distance” has always been a euphemism, a polite way of describing a toxic practice of providing union leadership with the material base for a lifestyle entirely different from that of its members. The material base of social distance is there for all to see. Jan Theron is former General Secretary of Food and Canning Workers Union and also Fawu – now destined to be the second largest affiliate of the new federation. 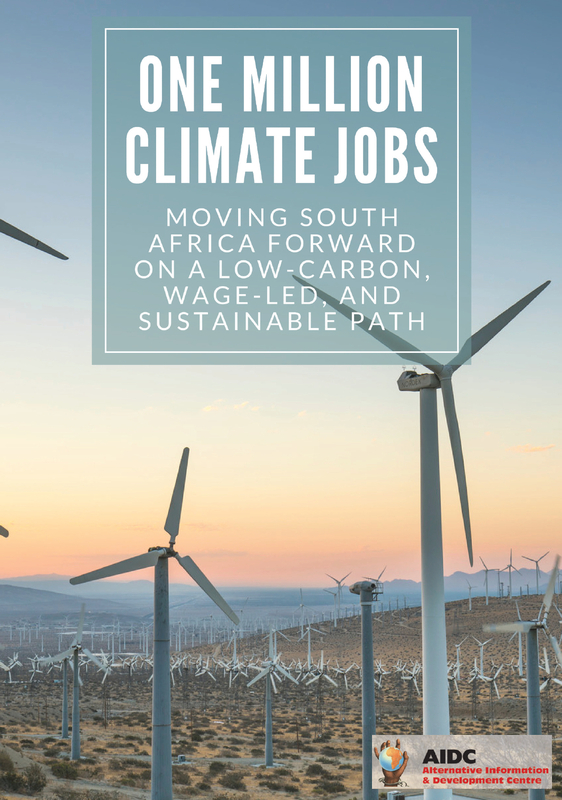 In his book (profiled on the inside front cover) he recalls a conversation he had in the ‘90s with Johnny Copelyn, then General Secretary of Sactwu. Copelyn was extolling the virtues of the Histadrut – the Israeli trade union organisation which owned a significant proportion of the companies in the Israeli economy. In 1989 it employed 289,000 workers. It dominated the Israeli services sector together with the government. It also dominated public transport, agriculture, and insurance industries. One of the most important companies it owned was Clalit Health Services, Israel’s largest Medical Aid. Clalit was the only medical aid to accept people without discrimination based on age or medical situation. You had to be a member of Histadrut to be able to be in the Medical Aid. So, many Israelis were dependent on Histadrut membership for their health insurance. Johnny Copelyn is now a wealthy man, running businesses which also benefit Sactwu members. But it seems that secretly Johnny Copelyn was not the only one to admire the Histadrut. He was just the most successful. Which Cosatu affiliate today doesn’t have an investment company? That includes the two who have left and lead the new federation. Fawu has Basebenzi Investment Group – a property company and a financial services company. Numsa has a property company which owns the union’s buildings and a financial services company. There are a number of problems with investment companies. They provide resources independently of the members’ subscriptions. A proportion of those resources go to the leadership of the union, at national and provincial level. For a union investment company that wants to sell financial services products to the union’s membership, it makes business sense to look after the union leadership. So it gives privilege to the union leadership. That privilege creates a bureaucracy. A bureaucrat is not just someone who works in an office. A bureaucrat is an office holder who has a personal, material interest in remaining in office. It could be a full-time shop steward (another target in Theron’s book) who wants to get re-elected because as a full-time shop steward she gets an office, access to a car, and freedom from shopfloor work. It could be an elected office bearer, who gets anything from a fancy car to a house in the suburbs. It is someone for whom access to the position is access to a source of comfort and lifestyle. Bureaucratisation is the process of undermining worker control in favour of those who benefit from their leadership positions. There are those who go further and loot the wealth, with predictable results. Who would have expected to see the Deputy General Secretary of a union take the General Secretary to court to remove him from positions in the investment company? But that is what happened in Ceppwawu. The value of the investment company assets is estimated at between R3 billion and R4 billion. In Satawu, the former President was convicted of stealing to fund his lifestyle, which included buying a R3.6 million house. But whether or not the investment companies are run “honestly”, whether or not Office Bearers benefit personally, whether or not, in fact, the leadership speaks very revolutionary politics, the result is the development of a bureaucracy. This dynamic is simply incompatible with healthy trade union life. A trade union needs to be dependent on its members’ subscriptions. It is the single most important relationship in the union – the union runs on workers’ contributions. So it has to look after the interests of workers. The SACP tried to find a middle road on this issue and got itself into a muddle. In a discussion document for its 2015 special congress, it approves of the idea of union investment companies. In principle, it says, they are good ways “to improve members’ lives and those of their dependents through benefits such as bursaries, pension funds and funeral schemes.” But then, without analysing how it happened, it says “Sadly, they have often become entry points through which the capitalist class has inserted its DNA into the head offices of many unions.” Sadly. As though this was an act of god, not a predictable outcome. But that principle raises questions rather than answering them. What does it mean for union investment companies? Are they part of “financial self sufficiency”? Are they compatible with it? And what about “business unionism”, a term coined by the SACP to attempt to discredit the Numsa leadership before its special congress in 2013. A section of our trade union feature is on precarious workers. In the introduction, on Page 5, we ask whether the federation will turn rhetoric on organising these workers into reality. Will it be able to show the flexibility and commitment that is needed for this task? Or will it remain an item on the agenda, with reports every now and again of the latest failure? And how will the federation deal with the need to revive the workers’ movement? In our interview, Vavi talks of campaigns on jobs, on the minimum wage, on defence of the right to strike and on education. Waging an effective campaign on any of these is not an easy task. It is relatively easy to win a s77 protected strike at Nedlac and have an effective one day strike. Relatively easy, but by no means guaranteed. It is interesting that Numsa settled its wage bargaining last year, with no hint of industrial action. Does that tell us something about the mood or the balance of forces? But what after the s77 strike? An effective campaign is more than a one day affair. The state has calculated that it can get away with attacks on workers’ rights. Can the new federation prove them wrong?